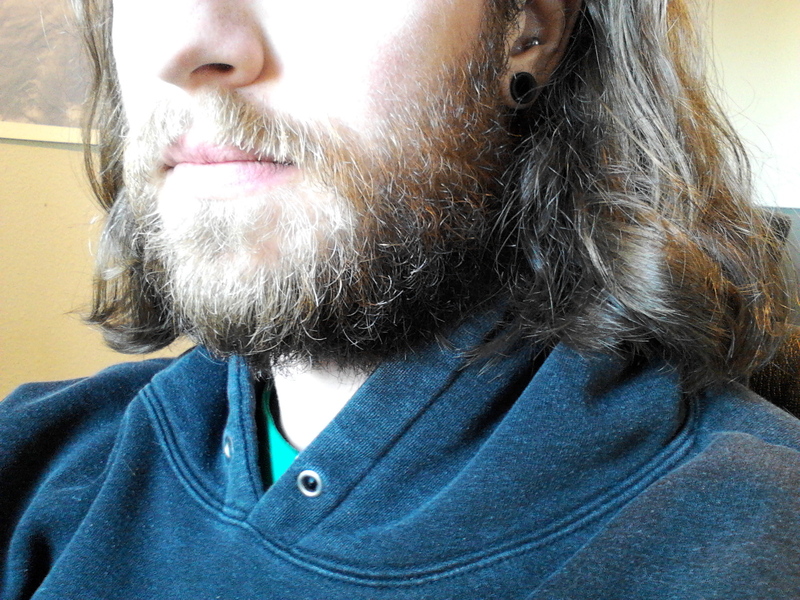 This is a winter beard. I haven't touched it since Thanksgiving, except some mustache trimming, so I can eat respectably. Contrary to the belief of my snow buddies, this is not a year 'round feat of facial hair. Plenty of folks wouldn't even recognize me in the summer months. When that thing goes so goes 10 years from my face. Right now is supposed to be mid-winter. I should be in mid-season form. Instead, Mt. Hood has less than a third of it's normal snow. I've ridden so little, my legs are atrophying. The sun is shining on Portland so much that folks are sporting flip-flops and tank tops. Meanwhile, I have to check the address on my mail to make sure I'm in the right town. This is Portland. In February. The trees are starting to bud out! Flowers are popping up thinking it's April already. Why bring up the beard? I'm holding it hostage. If it doesn't snow another foot at Meadows by the time I get back from the Baker Banked Slalom (check my twitter @Boredyak for updates and results), I'm shaving that thing off. I must admit, I've already had to trim it because of a bald spot that developed from my constant fidgeting and plucking. You hear that, snow!? Show yourself or the beard gets it! This beard is for you, snow! A token of my respect for your ability to chill my chin. Regardless, your seasonal visits and their resultant mounds of fluff always bring me joy. What now? Now you only come around every once in a while. Where's the joy in rain? I drive for hours to get to where the rain turns to snow. Now that place is getting farther and farther away. Mountains are no place for rain. No one ever made rain angels.